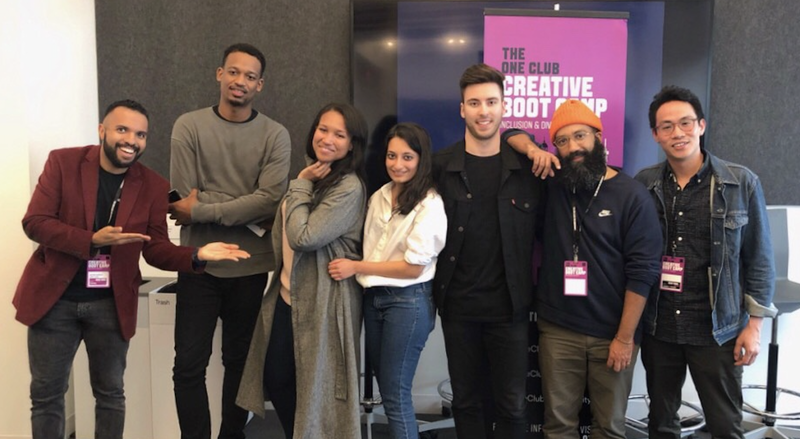 Representing the BIC Classes of 2015, '16, '17, '18, and 2020, BICsters created, coached, judged, and organized this year's ONE Club Creative Bootcamp held at RGA and sponsored by Verizon. Each year, students from schools all around New York City work in ad hoc teams for three days to develop a creative advertising campaign. On the fourth day, teams pitch to judges who are both industry pros and representatives of the sponsoring client. They walk away with make new connections and insights into creative advertising. As part of The ONE Club's education initiatives, BICsters were actually a part of organizing this yearly event: NiRey Reynolds (BIC '17) is now The ONE Club Education Manager who worked with Sur Govindarajan (BIC '18) to bring the Creative Bootcamp to life. In addition, BICsters Javier Garcia (BIC '15) and Castro Desroches (BIC '16) were among the mentors and judges. 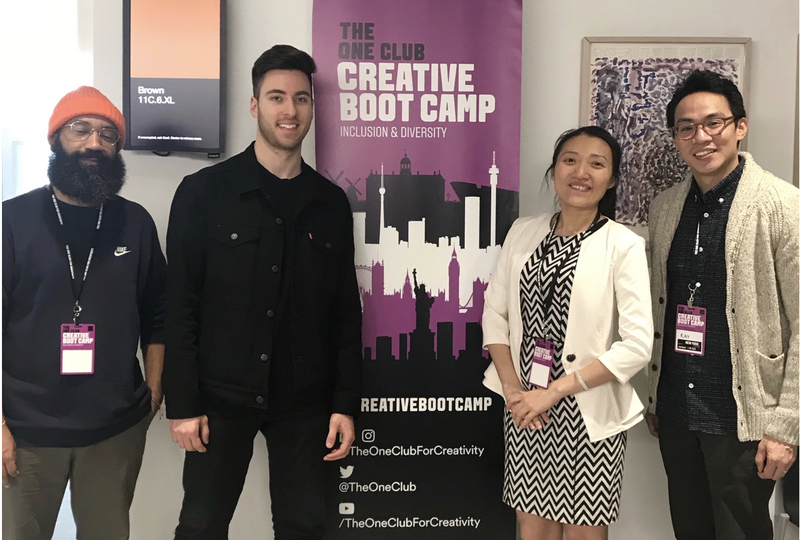 Four members of the BIC Class of 2020 participated in the Bootcamp: Lorenzo Lasagna, Carlos Matias, Raymond Sein, and Angel Wu. Two were on winning teams: Carlos' team got a silver and Lorenzo's snagged the bronze.